Monetize Adult Mobile Traffic with First Mobile Cash! 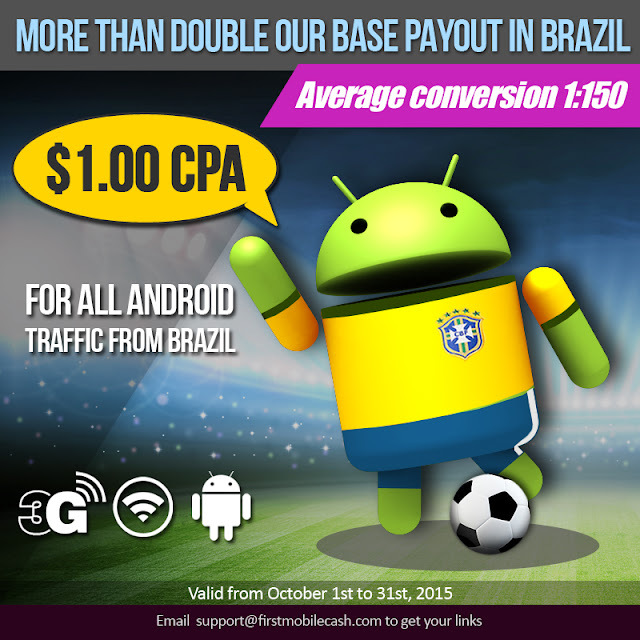 : We have more than doubled our base payout in Brazil! We have more than doubled our base payout in Brazil! Receive $1.00 - CPA for the entire month of October. Email support@firstmobilecash.com to set up your campaigns today! I was searching for adult affiliate programs then found the list at the bottom of the Voyeurboss.com website. It has a good list so I joined all of them. That day I made $134 in comms including a few sign up bonus’s. I’m now hooked on affiliate income.